Embattled government of Turkish PM Erdogan takes another blow as fallout from high-profile corruption scandal continues. Three senior Turkish ministers have resigned as Prime Minister Recep Tayyip Erdogan's Islamist government continued to reel from the fallout of an ongoing and controversial corruption scandal. Economy Minister Zafer Çağlayan, Interior Minister Muammer Güler and Environment and Urbanization Minister Erdoğan Bayraktar all officially announced their resignations today. Urbanization Minister Bayraktar called on Erdogan to resign, according to Today's Zaman. Interior Minister Güler said in a statement that he had already resigned "verbally" to the Prime Minister on December 17 - the day his son was arrested as part of a police investigation which saw twenty three others detained as well, including the CEO of the state-owned banked Halkbank. The ongoing investigation is being seen as part of a power struggle between Erdogan and influential Muslim cleric Fethullah Gülen. The two men used to be close allies, but have fallen out in recent years. Gülen wield considerable influence in Turkey, and his followers - sometimes known as "Gulenists" - are said to occupy key positions in the police, judiciary and secret services. Economy Minister Zafer Çağlayan hinted at those claims in a written statement. "It is clear that the operation that was launched on Dec. 17 is a dirty [game] against our government, our party and our country. "I have left my duty as the economy minster to spoil this ugly game in which my son and my close aides were implicated and to allow the facts come out." Prime Minister Erdogan has been feeling the pressure over the scandal. On Saturday, he issued a veiled threat to expel the American ambassador, over comments attributed to the latter criticizing Halkbank CEO Suleyman Aslan. "Some ambassadors are engaged in provocative actions... Do your job. 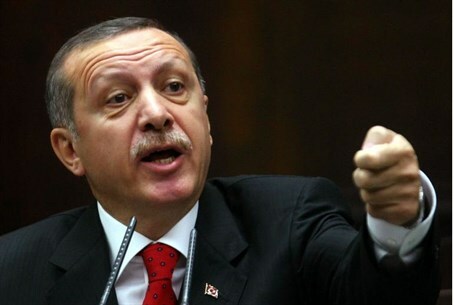 We don't have to keep you in our country," Erdogan said in a televised interview. The Prime Minister and head of the Islamist AKP party was until recently enjoying a position of unprecedented stability, but has since been battered by a series of domestic and foreign policy crises, including the popular Gezi Park protests and a break with one-time allies Damascus and Tehran over the Syrian civil war.